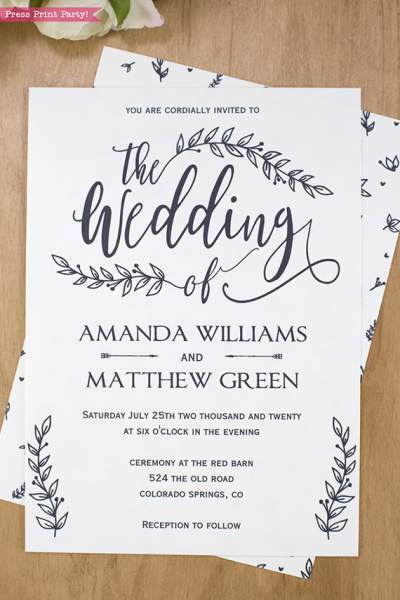 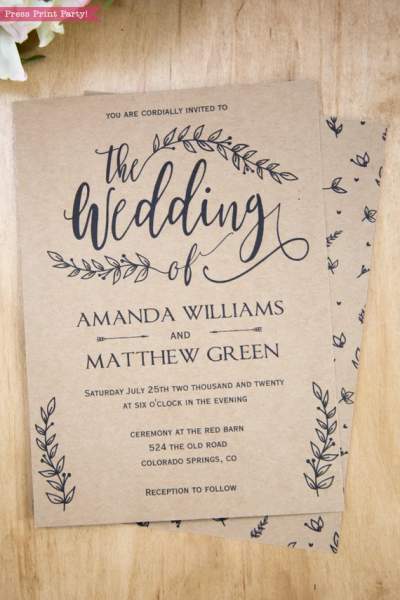 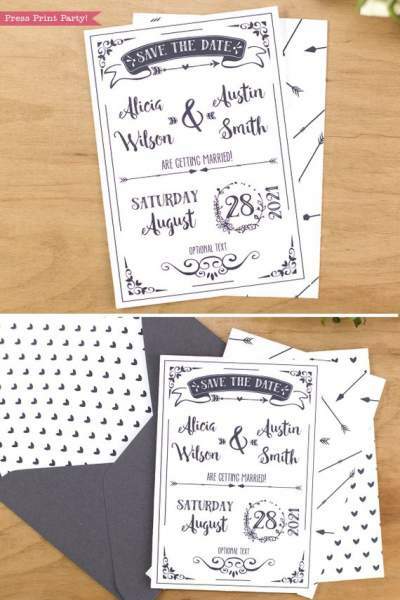 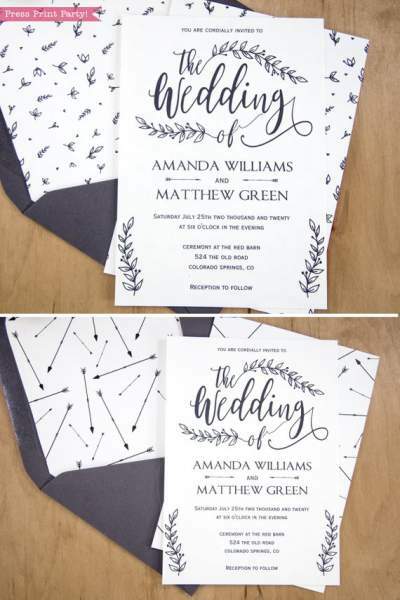 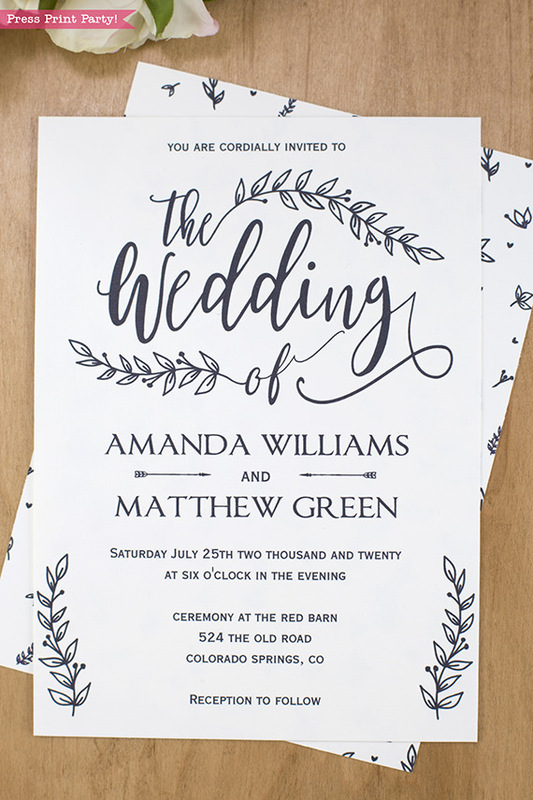 Rustic Wedding Invitation Printable (Leaf Design) & Decor Extras - Press Print Party! 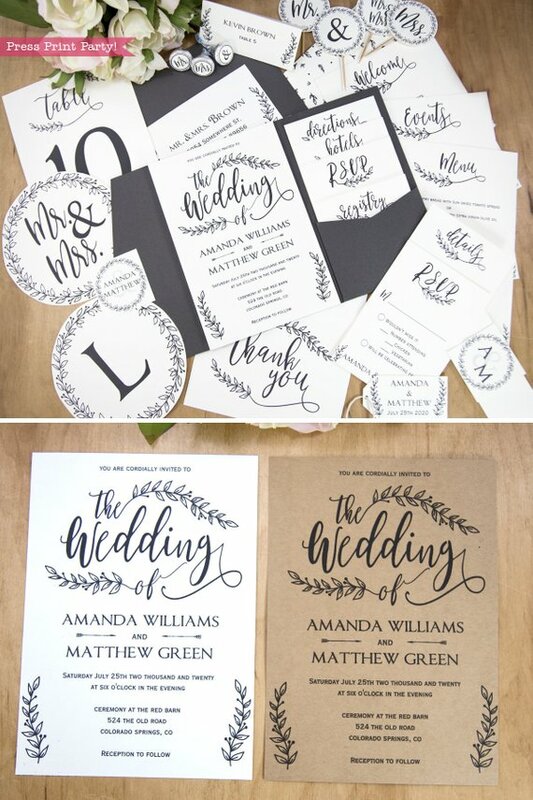 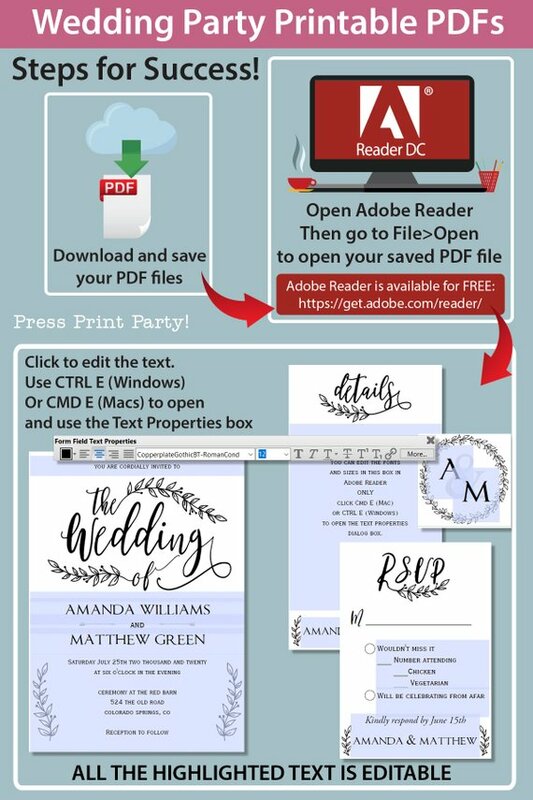 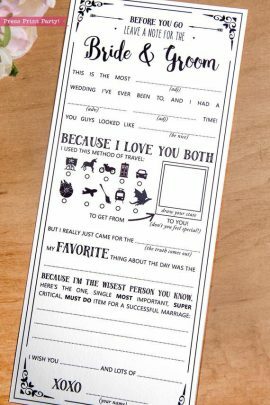 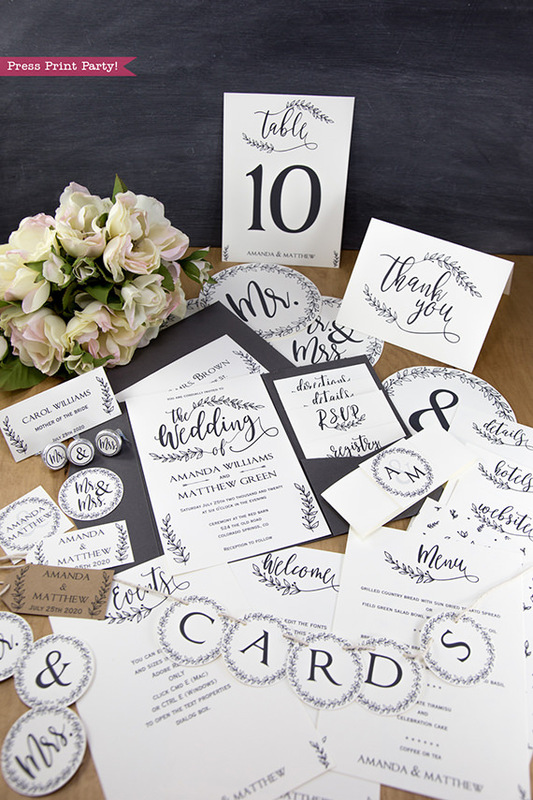 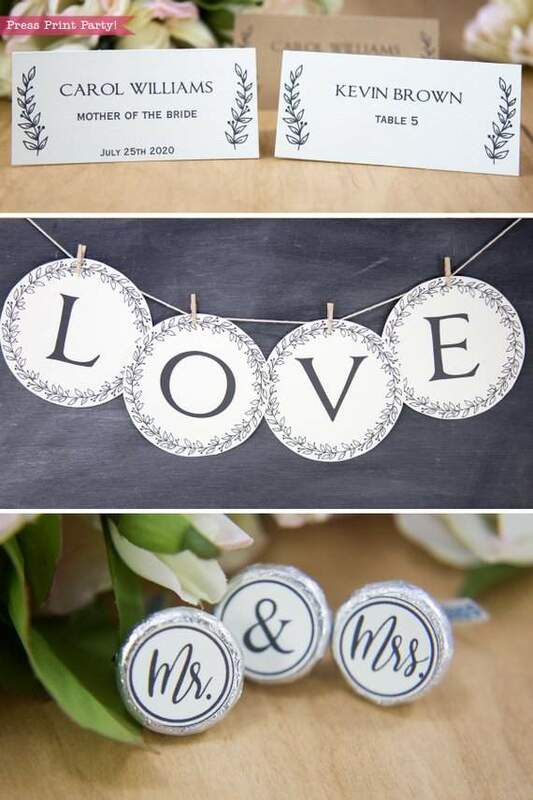 Everything you need for your wedding day in one printable set! 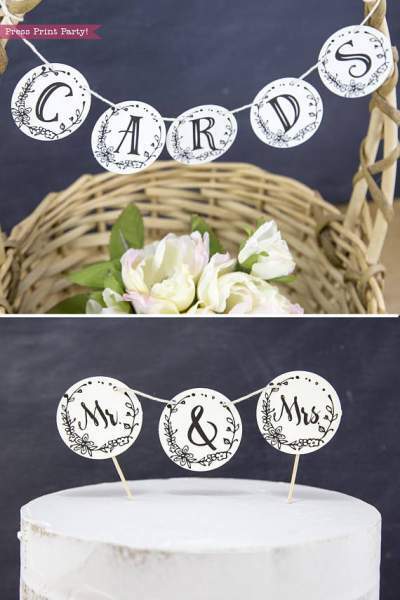 Lots of extra matching decorations and cards for the wedding day. 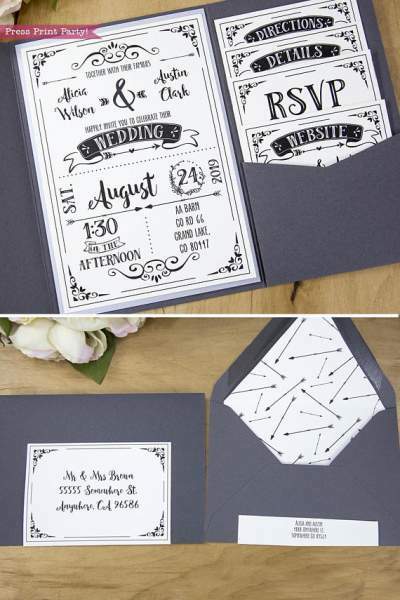 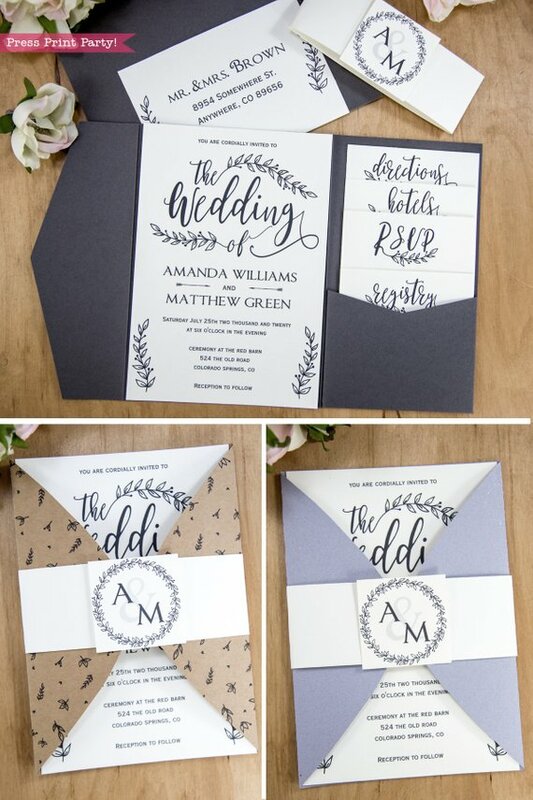 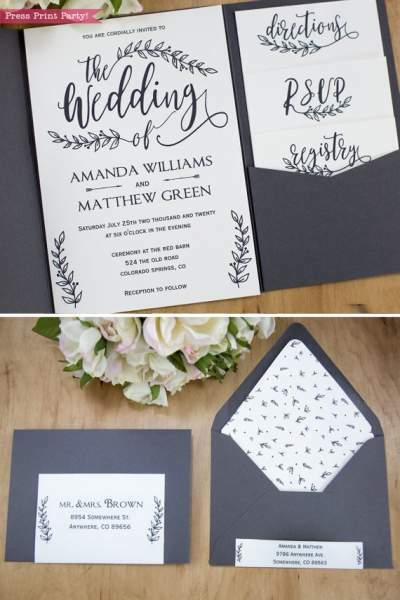 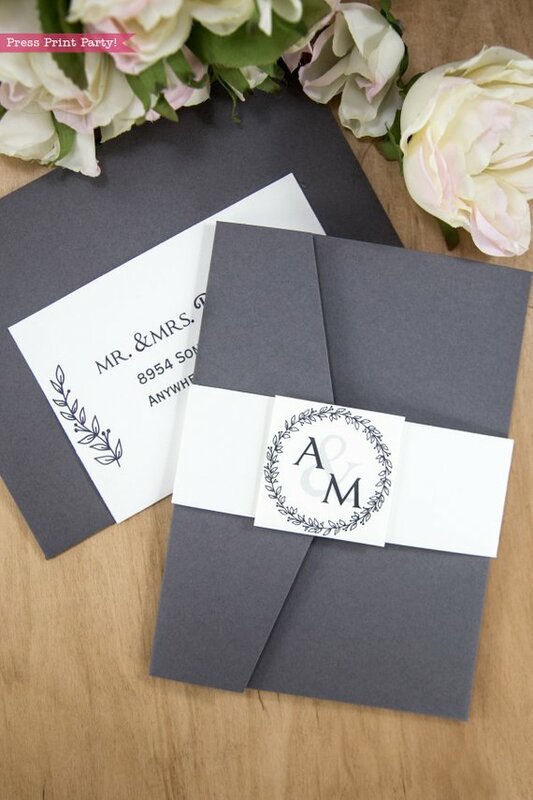 Add real style to your event by sending a custom invitation and following up with matching wedding decorations with this complete set. 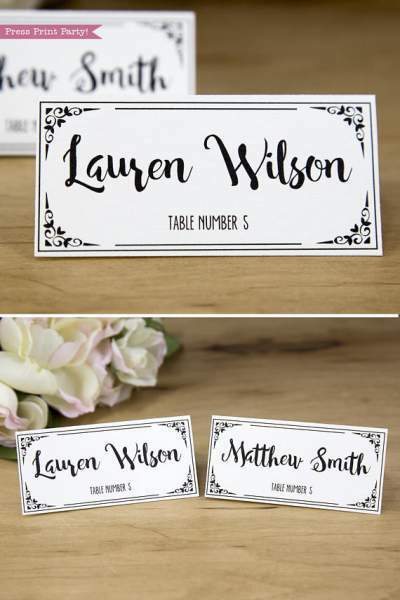 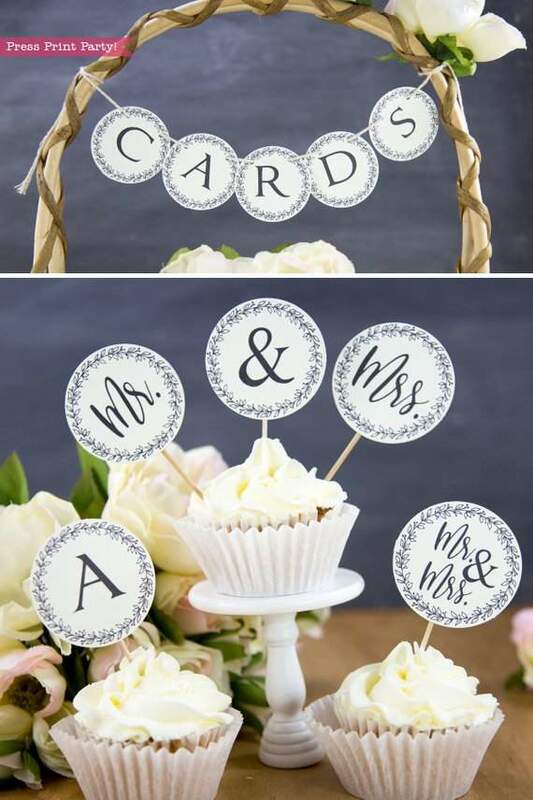 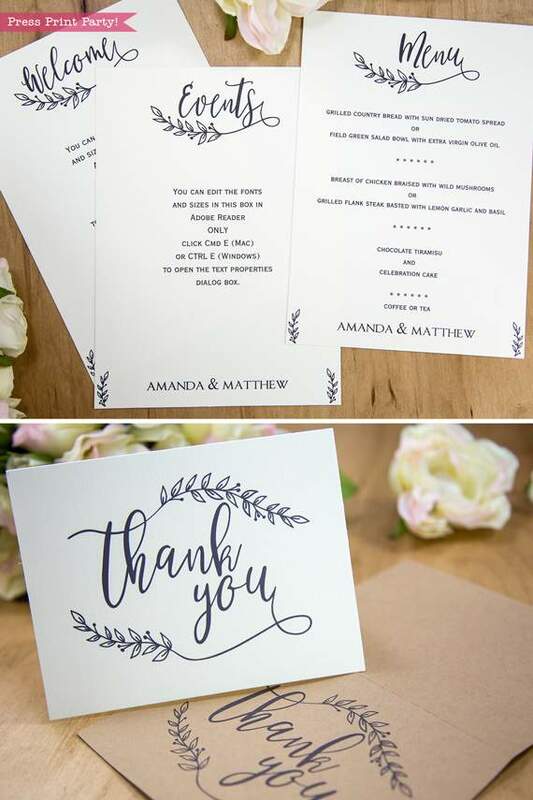 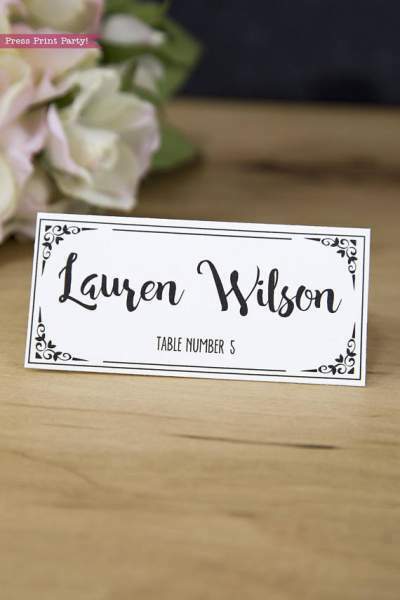 Make place cards, banners, print a menu, an event card, and even send your thank you notes in the same style. 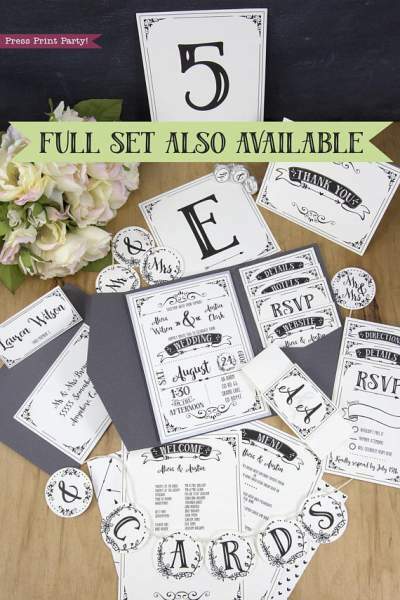 This ultimate set comes with everything you need. 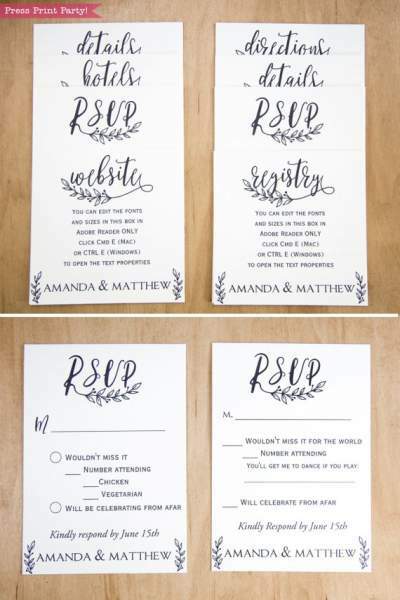 *** All text is editable except for the text with leaves. The editable text font can be changed by opening the Text Properties box in Adobe Reader. 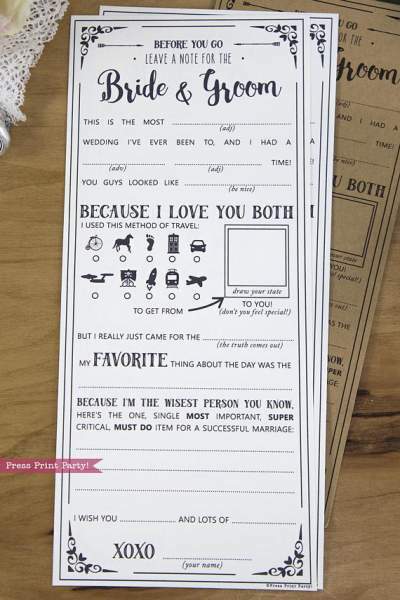 Detailed instructions included. 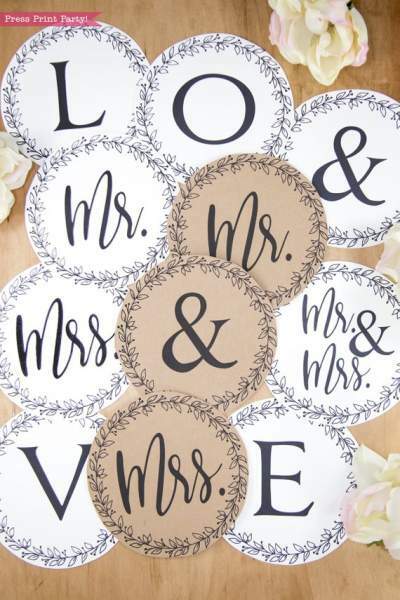 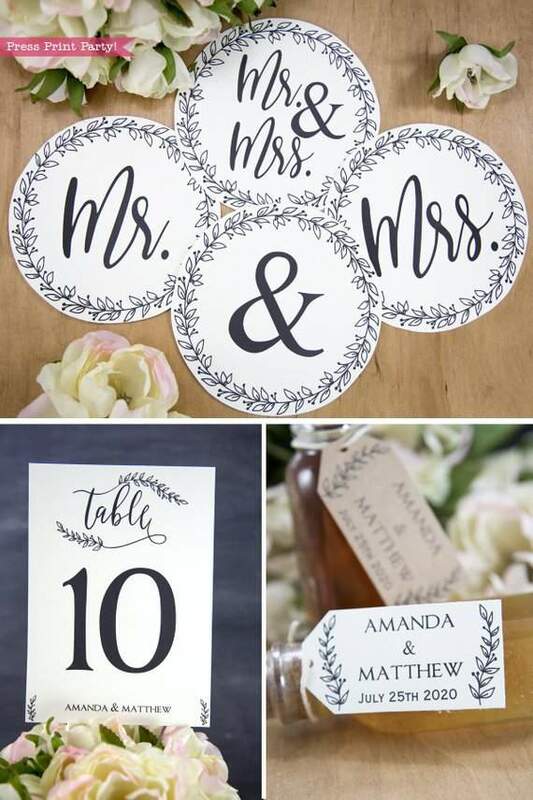 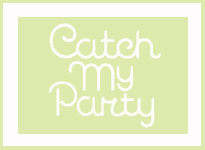 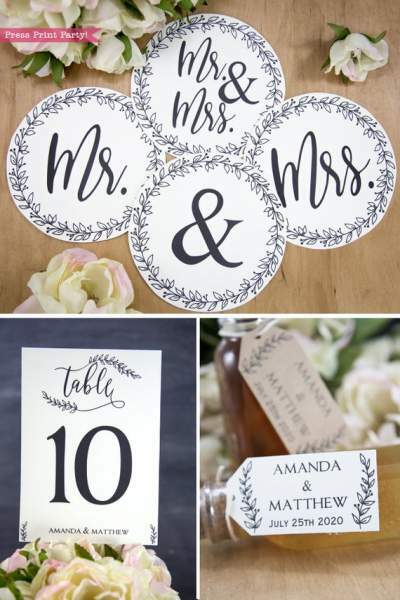 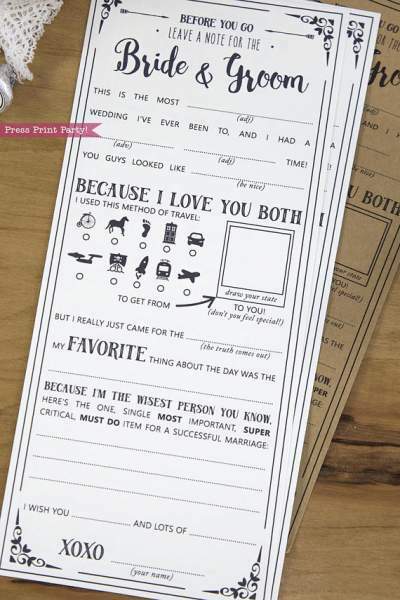 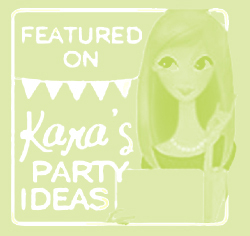 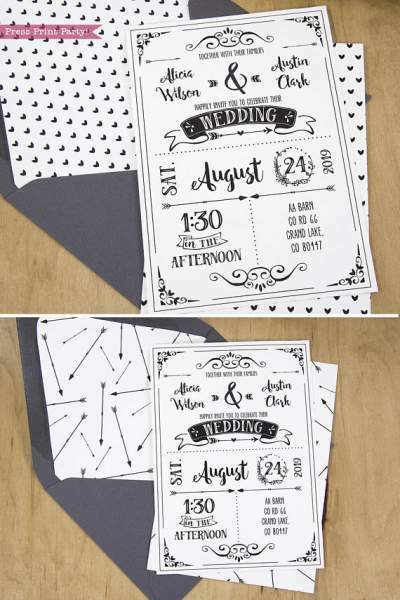 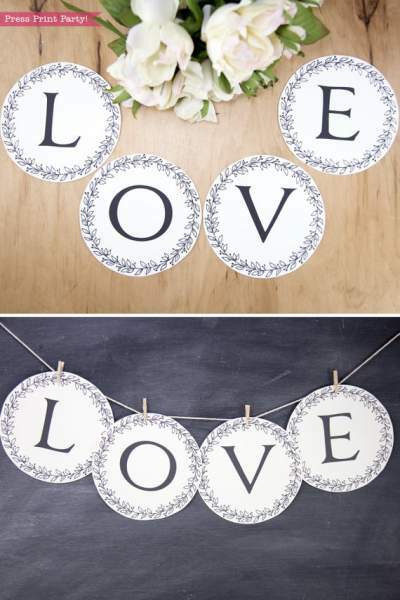 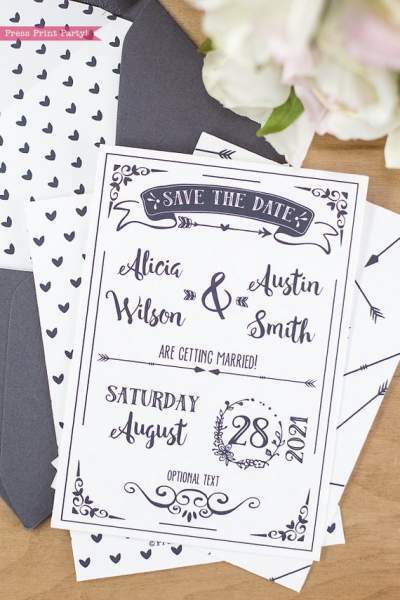 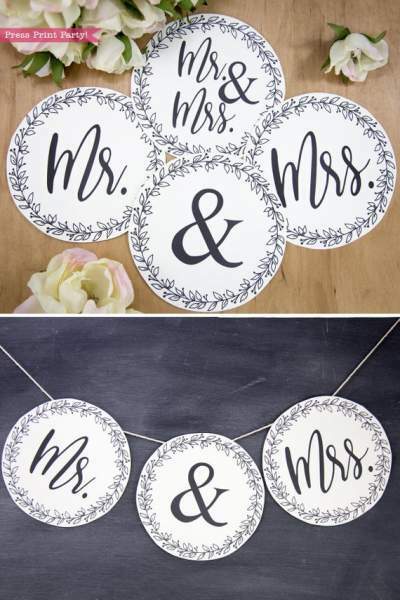 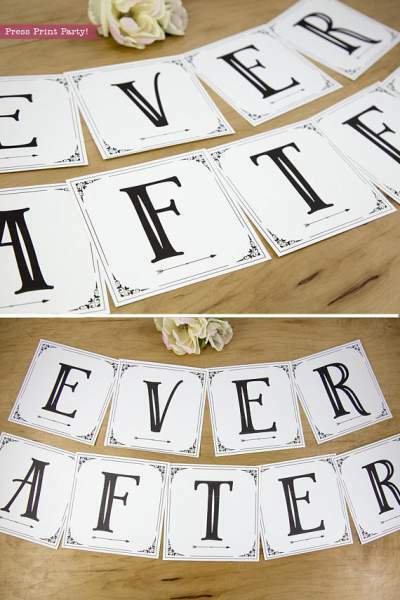 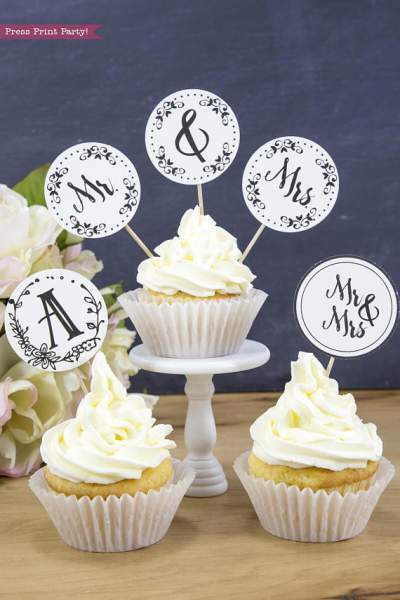 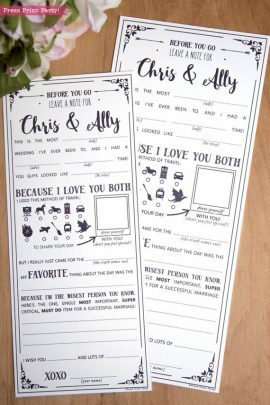 Check out all our wedding printables.